This massive laptop discount can't be beat. In the run up to Black Friday, Dell has slashed the price of its industry-leading laptop, the Dell XPS 13. 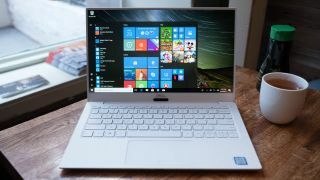 The device, which comes armed with 8th-generation Intel Kaby Lake Refresh processors, three USB-C ports, Windows 10 and a microSD card slot, has been described by our sister site Tech Radar as the best 13-inch laptop on the market right now. The main criticism levelled at the Dell XPS 13 was its steep price, but over Black Friday and Cyber Monday you can pick it up for just £969. This special price is a massive £410 reduction from its rrp of £1,379. To put it bluntly, this is the best price you can expect to pay for the best laptop. Save £410: The Dell XPS 13 pairs brilliant performance with 4K Ultra HD to make your creative work look its best. With powerful processors and a gorgeous design, it's no surprise that it is seen as the best in class. Available right now, while stocks last. This amazing offer is just the tip of the iceberg when it comes to Black Friday and Cyber Monday 2018 deals. If you want to keep up to date with the best discounts on creative and design products as and when they go live, be sure to bookmark Creative Bloq and check back in over the weekend.